From the director of The Letter Writer comes the powerful true story behind the most popular Christmas carol of all time. When Joseph Mohr is assigned in 1818 to be the new assistant priest in Oberndorf, a small Austrian town near Salzburg, the young man is full of ideas and ideals. However, his passion to bring the church closer to the common people sets him on a collision course with his superior, Father Noestler. When Joseph organizes a church choir that includes outcasts from the local tavern and performs in German instead of the traditional Latin, Father Noestler threatens him with disciplinary action. 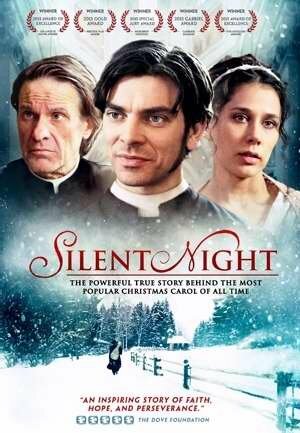 The night before Christmas, Joseph has to decide if he will accept defeat and leave Oberndorf or embrace the true significance of the holy night when Christ the Savior is born. If you have any questions about this product by Bridgestone Multimedia Group, contact us by completing and submitting the form below. If you are looking for a specif part number, please include it with your message.